How well do you speak Italian? 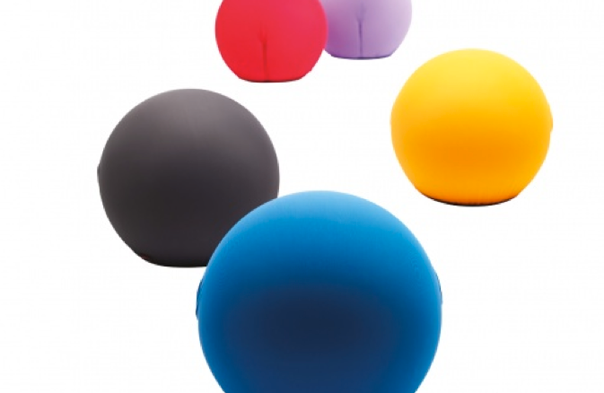 It turns out that those round bean-bagish chairs found in many of the Apple retail Stores are actually of Italian design. Cerruti Baleri’s Tato Collection is where Apple went shopping to find them. It’s a collection of products from designer Denis Santachiara. The problem seems to be how to purchase a set of your own. You may have to go through a furniture dealer or even an art gallery, as these items are not available for direct sale over the Internet. If you happen to be in the San Francisco Bay area sometime this holiday season, then consider making a side trip to Cupertino. That’s right; Apple’s headquarters is the only place where you can purchase official Apple merchandise. Better yet, plan a trip and take that special someone to the Apple Store on a shopping spree. The Apple Company Store is open to the public. A little closer to home, from the comfort of your closest internet connection, in fact, is The Missing Bite. 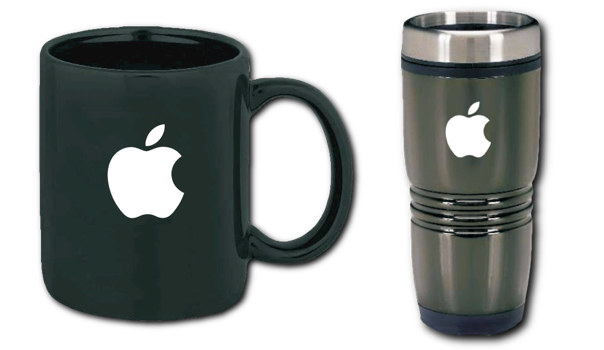 From posters to hats to stationary and pens, This site is one of the rare places online that you can get some Apple-branded swag. They even have the classic “Here’s to the Crazy Ones” genius bio sheets. There are also alternatives like RedLightRunner and Dougintosh to consider. All of these sites seem to source their wares from official Apple promotional channels. I’ve also always liked the Apple Timeline t-shirt from Insanely Great Tees. As a magnet, a coaster, and even as a throw pillow, the look of the icons from the stock Apple apps on the iPhone are quite popular. ThinkGeek is selling a set of the app magnets in their online store. If you’d rather have the iPhone app icons as coasters, they sell as three separate sets of six. If it’s pillows you are looking for, then look no further than the iconpillows shop on Etsy. In fact, both ThinkGeek and Etsy have additional Apple technology related items that you may like even better. MacBook decals are always a hit, as is the Etch-a-Sketch iPad case. And who could forget the Antennaid stickers that helped resolve the iPhone 4 antenna signal loss problem? Have someone in mind this holiday season that feels they can design a better version of almost any app they install? Empower them with their own assortment of stencils and tablets so they can get to work re-designing the apps they’ve grown to love. UI Stencils has both an iPhone and an iPad version of a metal stencil that you can use to draw the app of your dreams. If the UI Stencils sketch pads aren’t to your liking, take a look at what App Sketchbook has to offer instead. If they already have an iPad, an app might better suit their needs. Endloop’s iMockups is a solid choice. My old X-Track Zoom mouse pad wasn’t quite up to the same style standards as the rest of my Apple kit. I wanted my workstation to look less custom-built PC and more Mac chic. That is where the Just Mobile Alupad comes in. The look and style of this mouse pad fits right in with my current Apple desktop accessories like the Bluetooth keyboard and the Magic Mouse. If Macs are out and iPad desktops are more the in-thing, then JustMobile also has a series of different style iPad stands as well. Earlier this year, a Korean sausage manufacture was noticing an increase in sales. It turns out these sausages emit just enough of an electrical charge that the capacitive touch screens of the iPhone can’t distinguish the sausage from a human finger. Casecrown is now selling these as an iPhone Sausage Screen Stylus. If using a sausage feels a little too odd, then perhaps this winter, try out a pair of North Face eTip Gloves. When I first saw this, I thought it was a great design concept. There are several old school business people out there who aren’t ready to give up their Franklin Planners, their Oxford Black and Red, or their classic black-and-white-marbled composition notebooks. Perhaps they haven’t seen the Twelve South BookBook for iPads and MacBooks yet. Personally I’m more partial to their BookArc and BackPack products than the BookBook cases. There are likely several lists on Amazon (s amzn) that will claim to be the definitive list of all media available on the subject of Steve Jobs, Silicon Valley and Apple Computer. Ignore them and listen to mine instead. For historical and cultural reference books, consider Apple Confidential 2.0, The Cult of Mac and Revolution in the Valley. For DVDs in the same vein, the must-haves are Pirates of Silicon Valley, Welcome to Macintosh and Macheads. If you want to go off of the beaten path a little, and get to the core of what makes things tick in Cupertino, consider purchasing the book The Presentation Secrets of Steve Jobs as well as the DVD documentary Objectified. There you have it. This collection of holiday gift ideas should capture the attention of just about every true Apple enthusiast out there. You can’t go wrong with the standard iTunes gift card, of course, but the above selections are a little more personal and will show the Apple lover in your life that you’re willing to go the extra mile.